A special court in Hyderabad will pronounce its verdict on December 23 in the accounting fraud in the erstwhile Satyam Computer Services Limited, nearly six years after the the multi-crore rupee scam jolted corporate India. Special judge B V L N Chakravarthi fixed December 23 for pronouncement of the much-awaited judgement. All the 10 accused in the case, including prime accused Satyam Computers founder and former chairman B Ramalinga Raju and his brother and Satyam's former MD B Rama Raju, appeared in the court, as per its direction. The media was not allowed inside the court. "Case is posted for judgement on December 23. In all probability, it (verdict) will be delivered on that date, failing which, because of the volume of the case, it might take a few days more if at all," CBI's special Public Prosecutor K Surender said. The others accused in the case are ex-CFO Vadlamani Srinivas, former PwC auditors Subramani Gopalakrishnan and T Srinivas, Raju's another brother B Suryanarayana Raju, former employees G Ramakrishna, D Venkatpathi Raju and Ch Srisailam, and Satyam's former internal chief auditor V S Prabhakar Gupta. The court, in the meanwhile, heard arguments by the defence and prosecution after Raju had filed an application before it challenging the authenticity of some of the electronic evidence presented by the Central Bureau of Investigation that investigated the fraud. not retrieved in accordance with provisions of the Evidence Act. Touted as the country's biggest accounting fraud, the scam came to light on January 7, 2009, after Ramalinga Raju allegedly confessed to manipulating his company's account books and inflating profits over many years to the tune of several crores of rupees. Raju was arrested by the Crime Investigation Department of Andhra Pradesh Police two days later along with his brother Rama Raju and others. Raju and others were charged with offences like cheating, criminal conspiracy, forgery and breach of trust under relevant sections of IPC for inflating invoices and incomes, account falsification, faking fixed deposits, besides allegedly falsifying returns through violation of various I-T laws. In February that year, the CBI took over investigation and filed three charge sheets (on April 7, 2009, November 24, 2009 and January 7, 2010), which were later clubbed into one. Around 3,000 documents were marked and 226 witnesses were examined. Raju later retracted his confession statement and contended that all charges levelled by the CBI were false. 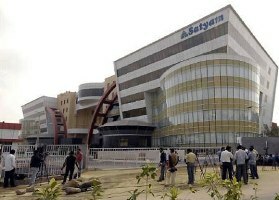 During the trial, the CBI alleged that the scam caused a loss of Rs 14,000 crore (Rs 140 billion) to Satyam shareholders, while the defence countered the charges saying the accused were not responsible for the fraud and all the documents filed by the central agency relating to the case were fabricated and not according to law. At present, all the accused are out on bail, though the Enforcement Directorate has also filed a charge sheet against them under the Prevention of Money Laundering Act. Satyam Computer Services Ltd had later merged with Tech Mahindra.